Home » Events » UBC Dialogues » What’s the real cost of cheap food? What’s the real cost of cheap food? Do you know where your dinner came from? Most of us want to make sustainable and healthy dining decisions, but busy lives and tight budgets mean imported and processed food often wins out in the quest for cheap and quick meals. Such choices, however, can have environmental, social and economic costs that don’t appear on our grocery bills. Once you consider carbon emissions from transportation and health issues relating to poor eating habits, some of the cheaper options start looking like less of a good deal. So is the answer to buy local? Or spend more time and money on our food? Can we afford to eat well? Join us on for a thought-provoking discussion about the hidden challenges associated with our food supply and what we can do to overcome them. On September 29, 2012, UBC alumni and friends discussed the question, “What’s the real cost of cheap food?” at the Okanagan campus’ Community Day. Paul is a veteran broadcaster and award-winning documentarist. Since 1999, he has hosted CBC Radio’s, Ideas and is well known to CBC Radio listeners as a regular replacement host on other such flagship programs as Morningside, Stereo Morning, and Arts National. 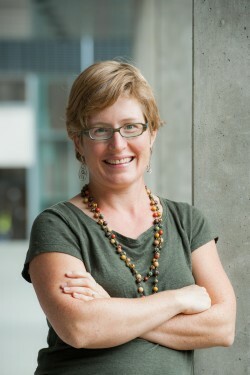 Professor Deborah Buszard is Principal and Deputy Vice-Chancellor of the University of British Columbia’s Okanagan campus in Kelowna, BC, and a core member of the University’s executive leadership team. A plant scientist and strawberry breeder, Professor Buszard is author of numerous refereed scientific and technical publications on agriculture, fruit physiology, breeding and management. Her current research interests include institutional innovation and sustainability. 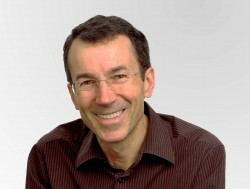 Before coming to UBC in 2012, Professor Buszard was a professor and member of the College of Sustainability at Dalhousie University, in Halifax, NS. She coordinated the academic sustainability project at Dalhousie which led to the creation of the College of Sustainability in 2008. 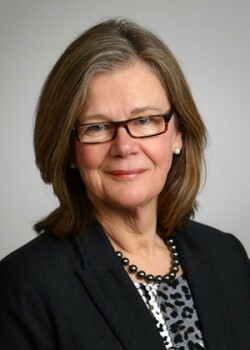 Prior to joining Dalhousie in 2006, she was Professor of Plant Science at McGill University and she served as Dean of Agricultural and Environmental Sciences and Associate Vice-Principal of the Macdonald Campus from 1996 to 2005. Professor Buszard was born in the U.K. and received her PhD from the University of London. She has published research on plant physiology, strawberry breeding and horticultural crop management. She has been an active member in her community, including serving as Chair of the Board of Vanier College and President of the Canadian Society for Horticultural Science. Peter is the author of The Urban Food Revolution: Changing the Way we Feed Cities, published by New Society in fall, 2011. He is a member of the Vancouver Food Policy Council. He is a former Vancouver city councilor, Metro Vancouver board vice-chair and business owner and executive. He was first elected to Vancouver City Council in 2002, was re-elected in 2005, and ran for mayor in 2008. He is currently a weekly columnist at Business in Vancouver, which he co-founded in 1989. He blogs at Urbanfoodrevolution.com. From 2009-2011 he was a fellow at the SFU Centre for Dialogue researching, teaching and organizing public events around the theme Planning Cities as if Food Matters. As a city councillor, he worked with the Vancouver Food Policy Council in initiating the city’s program to add 2010 food-producing community garden plots by 2010. He is vice-chair of the The Natural Step Canada – a national organization that advances sustainability in communities and businesses. Menno is a PhD student at UBC’s Okanagan Campus. He does Interdisciplinary research with Community, Culture and Global Studies. His research focuses on how to integrate values that are hidden from market-driven abstract commodity notions such as supply and demand. He argues that real alternatives to our food system need to integrate elements such as dialogue between different actors to learn about interdependence and look beyond an individual perspective to food. Consumers may, for example, then consider their expenses for food not only as an expense on their household budget, but as an investment in healthy community food production. New approaches to valuation (so beyond markets) will enable a productive environment for creating equitable exchange mechanisms of food, supported by policies at different scales. 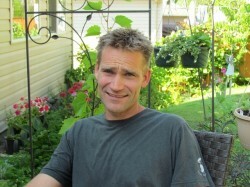 Menno has a MSc degree in international development economics, a BSc degree in tropical agriculture and over 20 years of experience in community development in various cultural contexts, including the Okanagan. Apart from his PhD, he is involved in part-time consultancy work, conducting trainings in the area of facilitating social learning, and multi-stakeholder processes in an international context. Hannah Wittman has conducted research for over 15 years on the ways that the rights to produce and consume food are contested and transformed through struggles for agrarian reform, food sovereignty, and agrarian citizenship. She has worked with new agricultural communities in rural Brazil with the Landless Rural Workers Movement (MST), on socio-ecological resilience and community-based resource management in Guatemala, and on local food system transformation, farmland protection initiatives, farmers’ markets and community-based farming in British Columbia, Canada. She is the co-editor of 2 recent volumes on food sovereignty, including Food Sovereignty in Canada: Creating Just and Sustainable Food Systems. Unconventional Tenures: A Comparative Analysis of Community-Based land Reform and Agrarian Citizenship in Brazil, Guatemala and Canada. Food sovereignty: an alternative paradigm for poverty reduction and biodiversity conservation in Latin America. Farmers’ Markets as Social Economy Drivers of Local Food Systems in Alberta and British Columbia. Hannah received her BA from University of Washington in International Studies and Environmental Studies and her MS and PhD, both in Development Sociology, from Cornell University in 2005. She was a faculty member in the department of Sociology and Anthropology at Simon Fraser University from 2005-2012.